Robert Redford directs and stars in this provocative ode to political activism. Boasting a powerhouse cast that also includes Meryl Streep and Tom Cruise, the film features three storylines centered on the Iraq war. 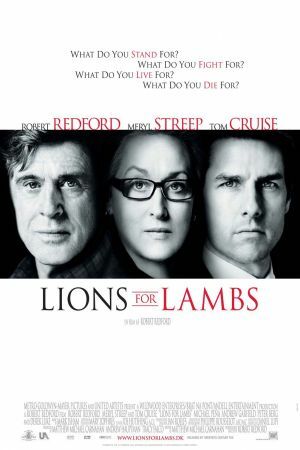 Cruise is Jasper Irving, a rising Republican senator who has summoned Janine Roth (Streep), the head journalist at a large news corporation, to sell her on the government's new military strategy. It's his hope that she in turn will sell the public on the idea. Meanwhile, a history professor (Redford) is trying to convince one of his more promising students to strive to make a difference in the world. Professor Malley believes Todd Hayes (Andrew Garfield) to be a bright young man, and he wants to know why Todd has become so apathetic about his schoolwork, and, after the two banter back and forth about the nature of activism, Malley tells him about two of his former students, Ernest and Arian (Michael Pena and Derek Luke), both of whom are currently serving in Iraq. Unbeknownst to Malley, at that very moment, Ernest and Arian are engaging in the exact military strategy that Senator Irving is discussing with Roth. Their mission has just gone terribly awry, and the men have fallen into enemy territory. So the senator and journalist argue, the professor and student debate, and all the while the wounded soldiers wait desperately for rescue. These disparate storylines slowly build and converge, culminating in a blaring statement about civic responsibility and social conscience. 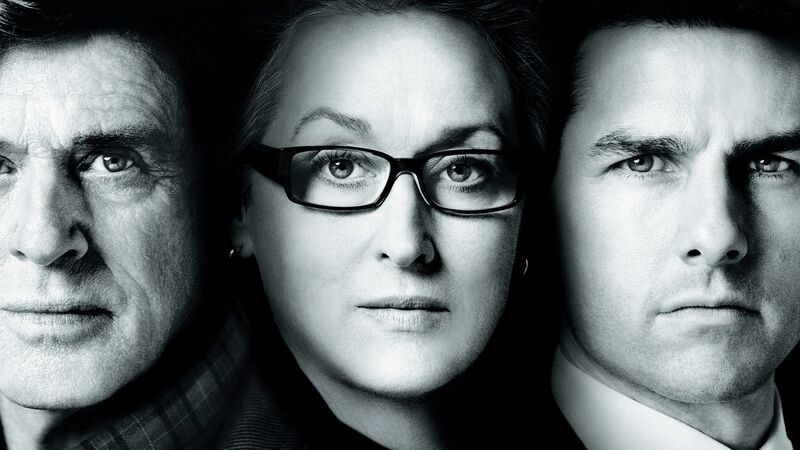 Cruise and Streep are a delight to watch, and their battle of words gives the most heat to the film. As one might expect, it casts an extremely critical eye at the current state of American politics. However, it veers toward hope, and a call to action. Redford, himself a longtime activist, appears to be sending an open letter to America: turn off the celebrity coverage and get involved.